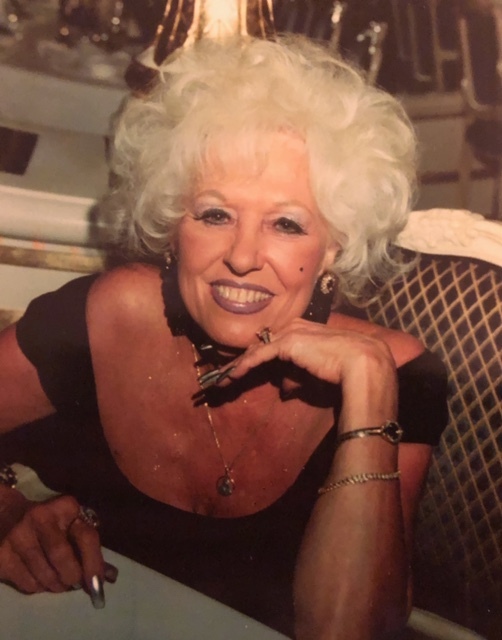 Jane (Janie) Barimani of Exton, Pennsylvania passed away on Friday, November 23, 2018 surrounded by her loving family. She was 85 years old. She shared her life with her loving husband, Cyrus Barimani, for over 57 years. Dearly loved mother to Micheline (Jerry) Clapham, Michael Darwin (Maxine) Anthony, Minda (Bill) Goldman, and Mark (Holly) Barimani. Cherished grandmother of Shawn, Jay, Kristen, Michael, Cody, Will, Marisa, Danielle, Henry and Elizabeth. Beloved great grandmother of Connor, Hailey, and Corbin. Relatives and friends are invited to her funeral mass 11:00 AM, Saturday, Dec. 1, 2018 at St. Mary's Chapel (Ss. Philip & James Church), corner of E. Lincoln Hwy. & Ship Rd, Exton, PA 19341 where friends may call 10-10:45 AM at the Chapel also. Entombment at St. Agnes Cemetery. In lieu of flowers, please send donations to St. Jude Children’s Research Hospital. Jane was born in Butler, Pennsylvania on May 1, 1933. In 1961, she met Cyrus in Pittsburgh, and after three short months of dating, they were married. She was a homemaker and raised two sons, two daughters and a grandson. Jane blessed us with her stunning beauty, but mostly with her beautiful heart. She lived life to the fullest as the center of her family. She found joy in showing compassion, kindness and generosity to those around her. Jane appreciated the beautiful things in life; decorating, fashion, gardening and elegant cars. An avid Elvis fan, she celebrated each Christmas by playing his vinyl albums and realized a longtime dream when she visited Graceland in 2016. She had a passion for entertaining and preparing gourmet meals. Jane is especially remembered for being hospitable, and she made a point to make others feel welcomed. Her impact on her family was immense, and she is dearly missed. Thank you, Janie, Mom, Grammy, Mimi for giving us so much of yourself and blessing us with your love. Your presence will stay with us forever.